Charles Joseph La Trobe lays the foundation stone of St James’ Church, then on the corner of William and Little Collins Streets; it later moves further north in King Street. 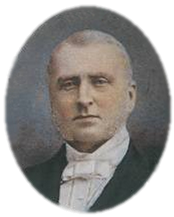 Redmond Barry arrives in Melbourne and practices as a barrister; he later becomes a judge of the newly proclaimed Supreme Court of Victoria. 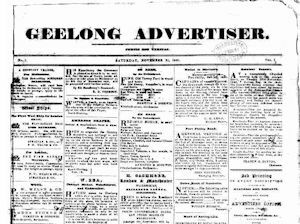 Geelong Advertiser newspaper is first published by John Pascoe Fawkner; it is Victoria’s oldest surviving newspaper. 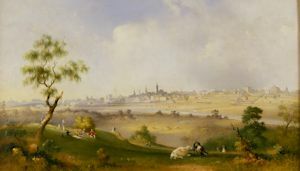 Land is set aside for the Domain parkland and future Government House. 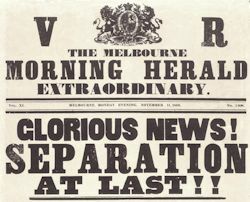 A post office opens at Alberton (later Port Albert) in Gippsland, the fourth to open in the Port Phillip District after Melbourne, Geelong and Portland. 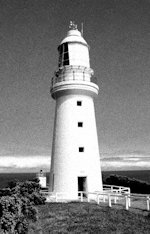 Construction of the Cape Otway lighthouse commences. 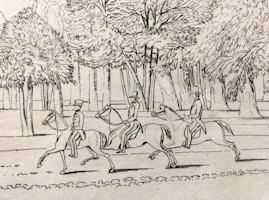 Charles Joseph La Trobe makes an eight-day journey of exploration into Gippsland on horseback through difficult terrain. Charles Joseph La Trobe announces Separation from New South Wales; he does this under a very old red gum (Eucalyptus rostrata) in the Melbourne Botanic Gardens. 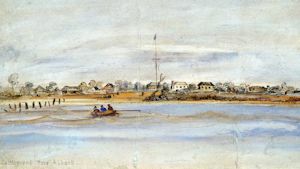 Charles Joseph La Trobe opens the new Prince's Bridge over the Yarra River; it is replaced by the current bridge in 1888. 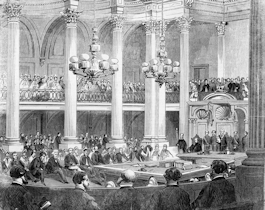 The first Legislative Council of Victoria meets at Saint Patrick's Hall in Bourke Street. The Ticonderoga arrives at Point Nepean from Liverpool carrying scores of fever stricken passengers; there are 70 deaths while she is in quarantine. 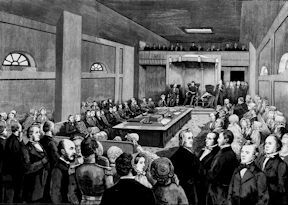 The first Victorian Parliament opens in the newly contructed Paliament House and Responsible Government commences.